Most of the time, cellphone footage taken from airplanes doesn't end well. You typically see travelers adopt the righteous "paying customer" role and argue in circles with flight security staff — or each other, about Donald Trump — until eventually they're thrown – or dragged – off the plane under questionable circumstances that cost the airline a lot of money. Wouldn't it be nice if one of these videos was uplifting, for once? Yardley resident Joey Illiano fulfilled that wish last week. 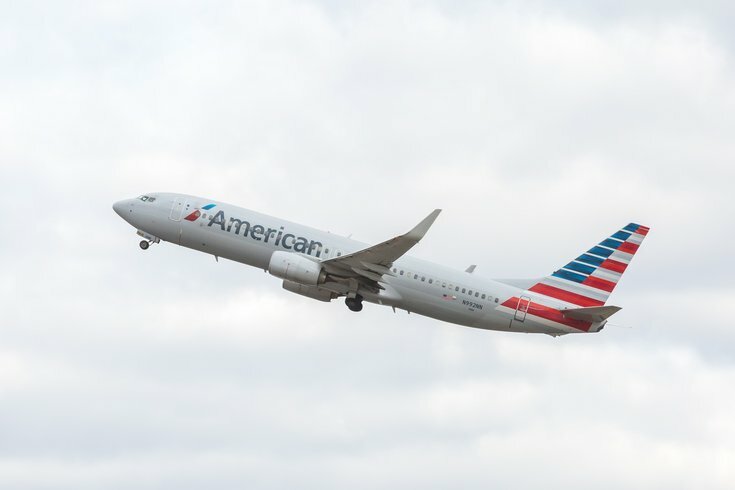 While traveling out of Philadelphia with his girlfriend, Levittown native Jaclyn McMonigle, Illiano got down on his knee and popped the question in the aisle of an American Airlines flight, according to CBS3. "Shut up!" McMonigle said. "Are you kidding me?" The flight staff and fellow passengers were reportedly in on the proposal and offered a hearty cheer when McMonigle said yes. She and Illiano were flying to Miami on May 12 to celebrate their four-year anniversary. This was reportedly McMonigle's first-ever flight. At least those were tears of joy, and thank God she said yes.